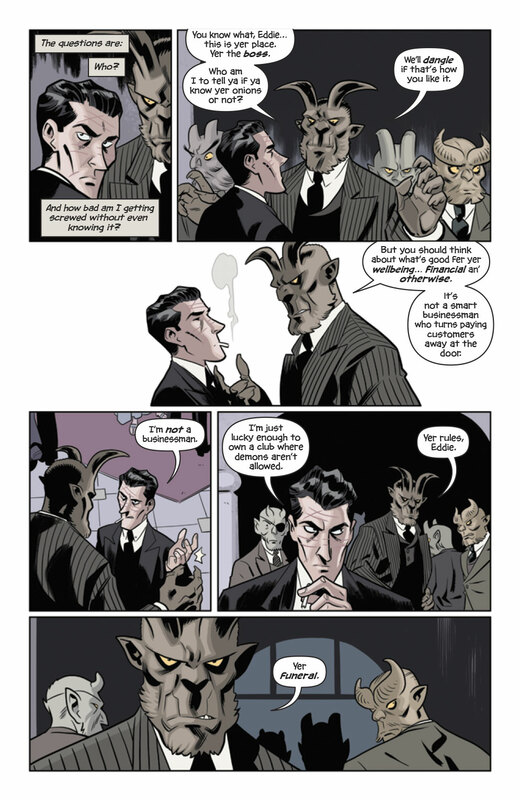 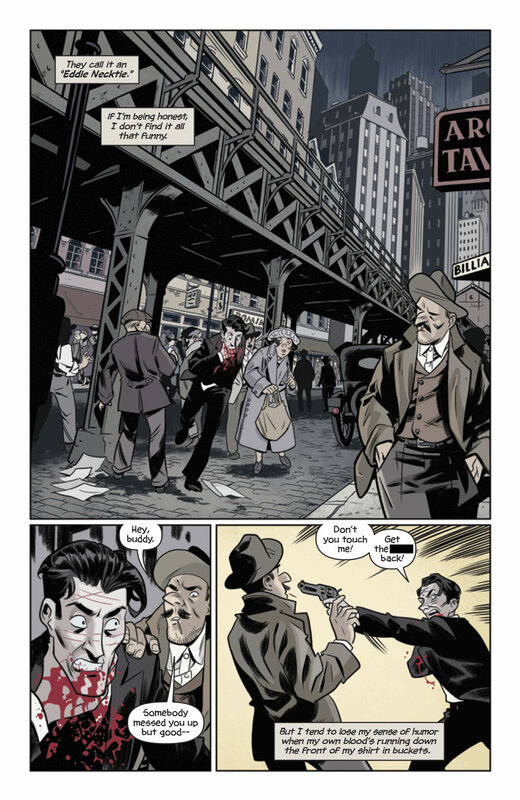 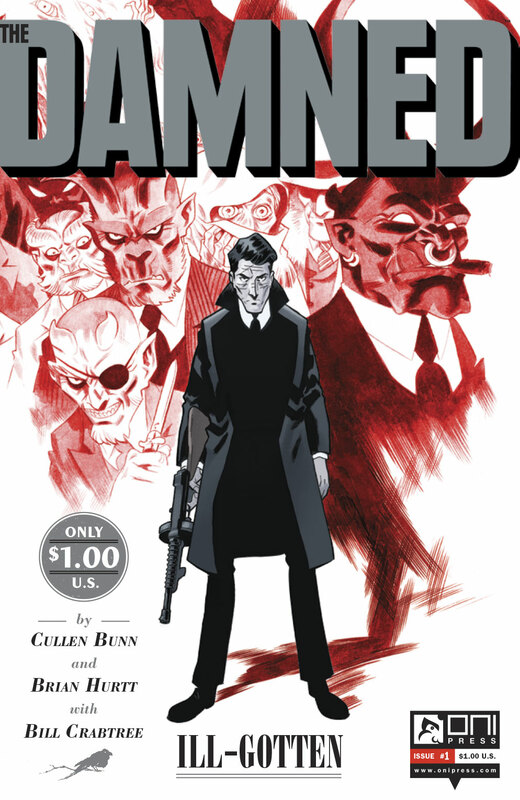 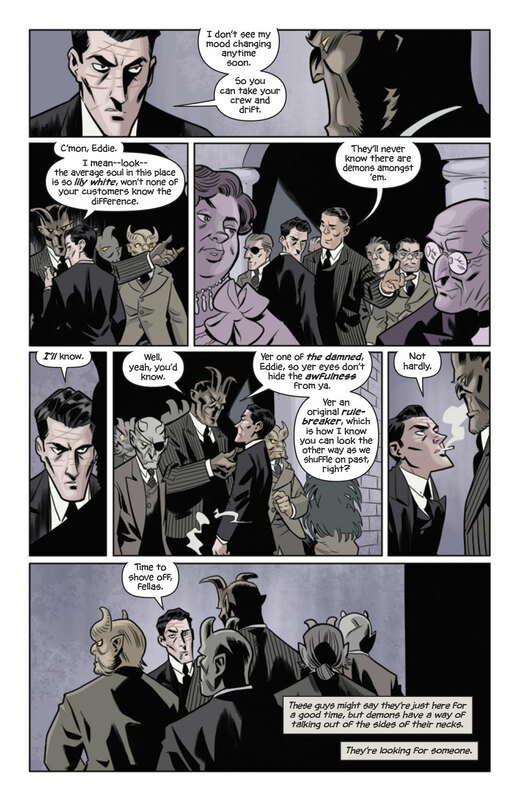 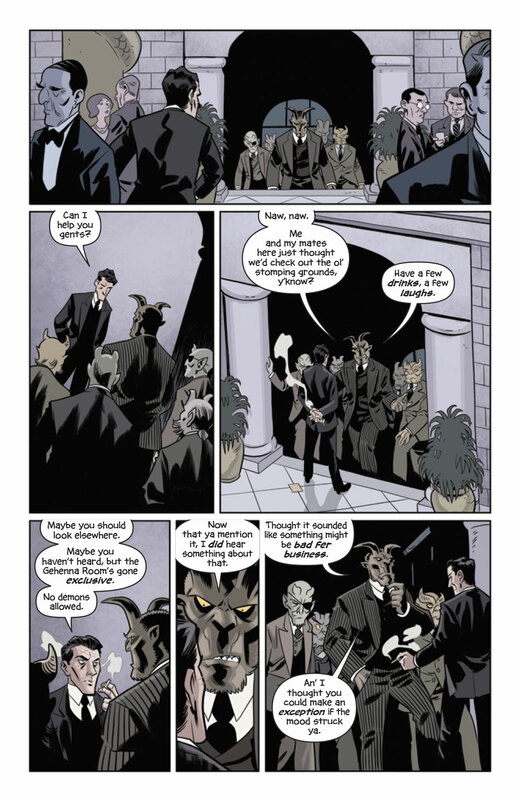 From the creators of the epic The Sixth Gun, The Damned tells the story of a Prohibition-era world overrun with demons, who pull the strings of various crime families. 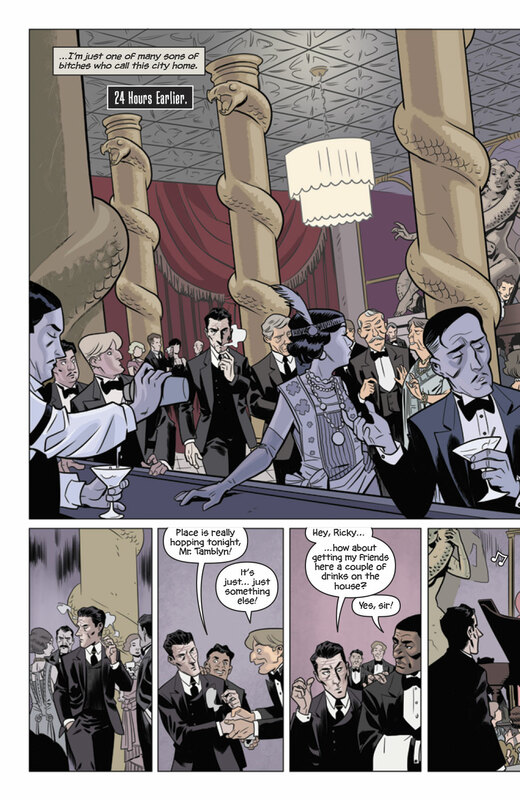 Eddie, a man who can’t die, runs a nightclub where demons aren’t allowed and somehow always ends up in their crosshairs — like when an old friend shows up seeking sanctuary at his club, the Gehenna Room. 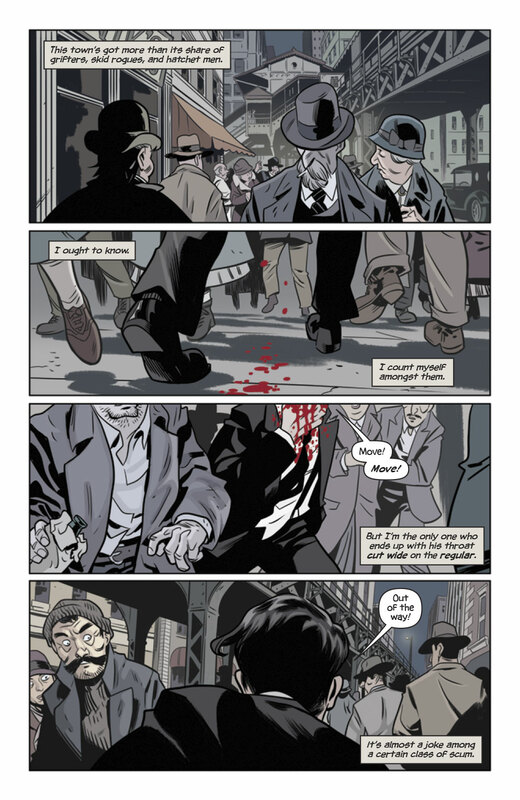 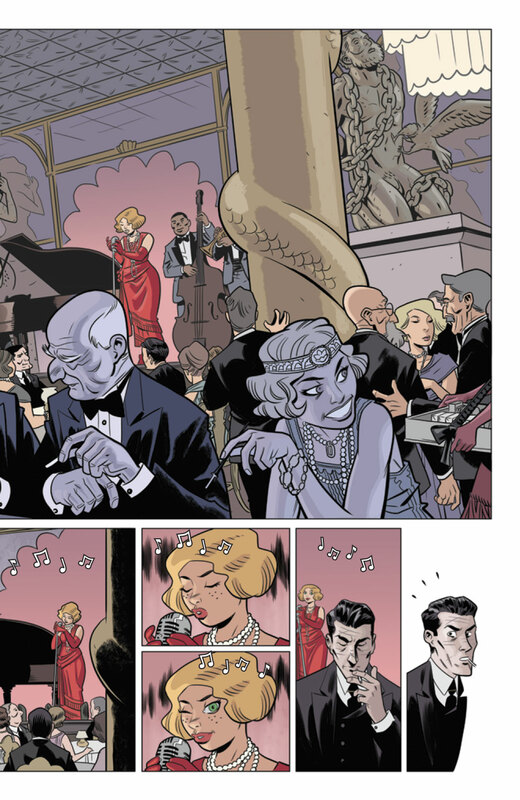 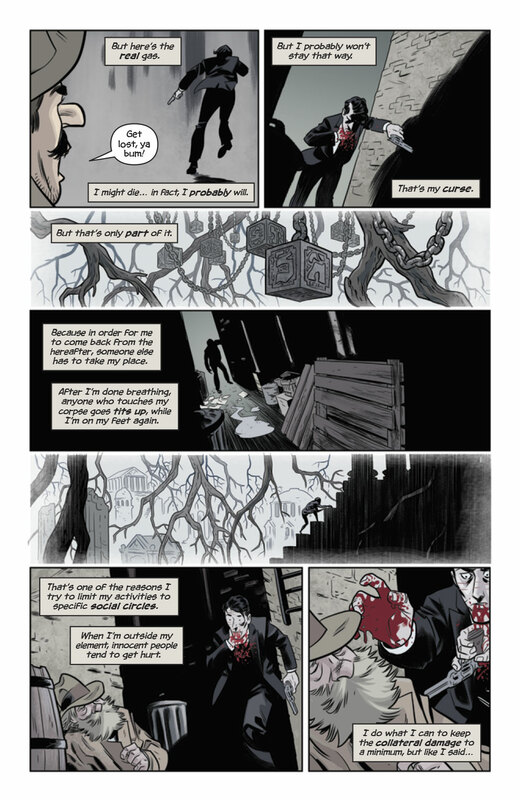 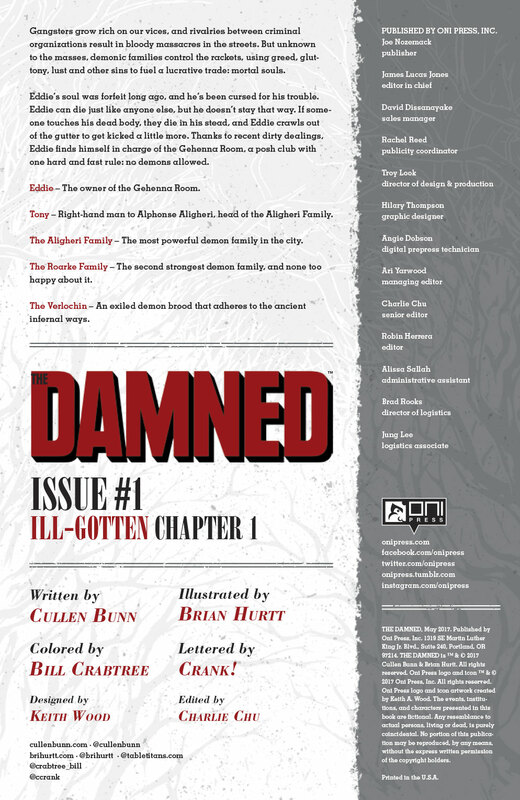 Check out a preview, courtesy of publisher Oni Press, of the first issue below.